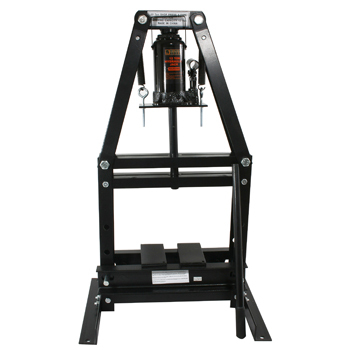 Use the Black Bull 6 Ton A-Frame Shop Press for installing and removing gears, U-joints, bushings, ball joints, pulleys arbor and press-out jobs. 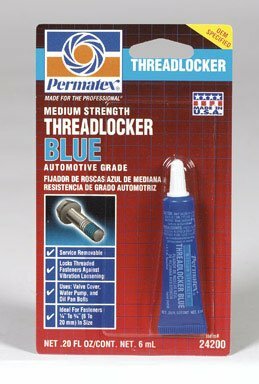 Used by automotive shops and hobbyists to repair and replace bearings, install and remove pressure-fitted parts, and bend or straighten metal. The Black Bull 6 Ton A-Frame Shop Press features all welded steel construction with a powder coated paint finish. The 6 ton hydraulic jack has an operating distance of 2 in. to 4.3 in. Operating distance 2 in. to 4.3 in. 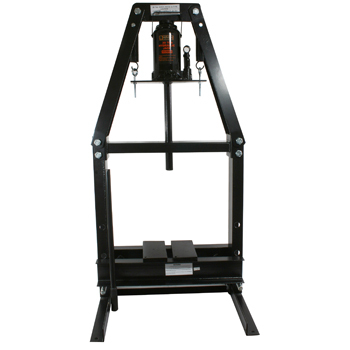 Use the Black Bull 12 Ton A-Frame Shop Press for installing and removing gears, U-joints, bushings, ball joints, pulleys arbor and press-out jobs. 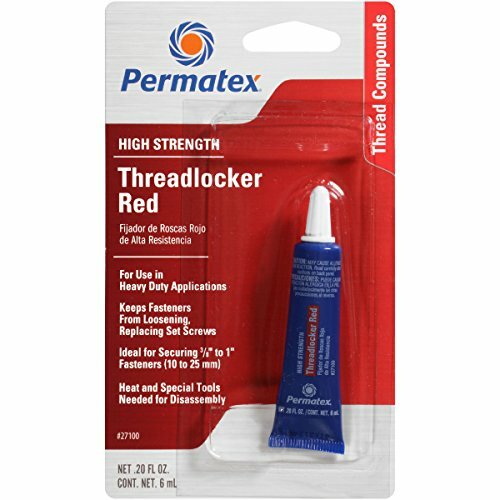 Used by automotive shops and hobbyists to repair and replace bearings, install and remove pressure-fitted parts, and bend or straighten metal. The Black Bull 12 Ton A-Frame Shop Press features all welded steel construction with a powder coated paint finish. 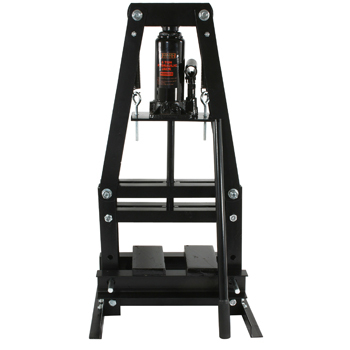 The 12 ton hydraulic jack has an operating distance of 3.5 in. to 9.75 in. Operating distance 3.5 in. to 9.75 in. 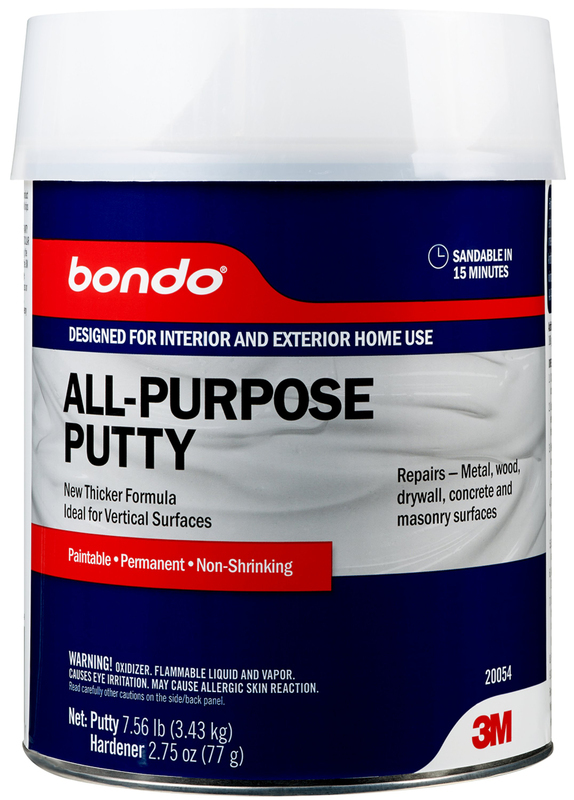 3M ALL PURPOSE FILLER PUTTY 3M(TM) all purpose putty quickly and easily - fills, patches, seals & repairs almost anything Previously sold as Bondo(R) All Purpose Putty For driveways, walls, damaged chimneys, gutter,- knotholes, damaged tiles, shingles, doors & more Sand time: 20 minutes- work time: 3-5 minutes 20054 1G ALL PURPOSE FILLER SIZE:1 Gal. Traditionally used in automotive shops for part preparation and cleaning, blasting cabinets can also be used by auto enthusiasts in the home garage, or by hobbyists who etch glass, wood or stone. Get the surfaces of large items clean and prepared for use. The Black Bull Vertical Abrasive Blast Cabinet has an air consumption of 5 CFM and a working pressure of 40-80 PSI and is capable of accommodating items as large as 9 inches tall by 20 inches wide by 19 inches long. 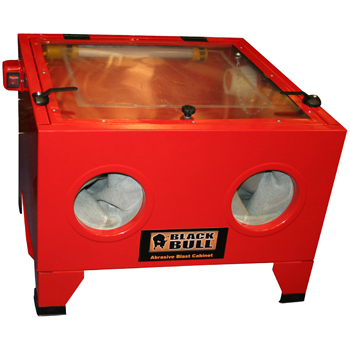 The Black Bull Vertical Abrasive Blast Cabinet comes fully equipped with 4 ceramic nozzles, rubber gloves, a blasting gun, and screen, so you can get started right away. Once assembled, the Black Bull Vertical Abrasive Blast Cabinet is ready smooth a rough surface, roughen a smooth surface, or remove surface contaminants. The fluorescent light helps provide enough light so you can see what you're working on, and the side door provides ample room for loading bulky parts. Use quality replacement parts and abrasive sand by Black Bull. Don't dump the entire Parts Washer when the pump goes out. 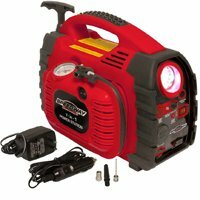 Just replace it with the Black Bull Replacement Parts Washer Pump. 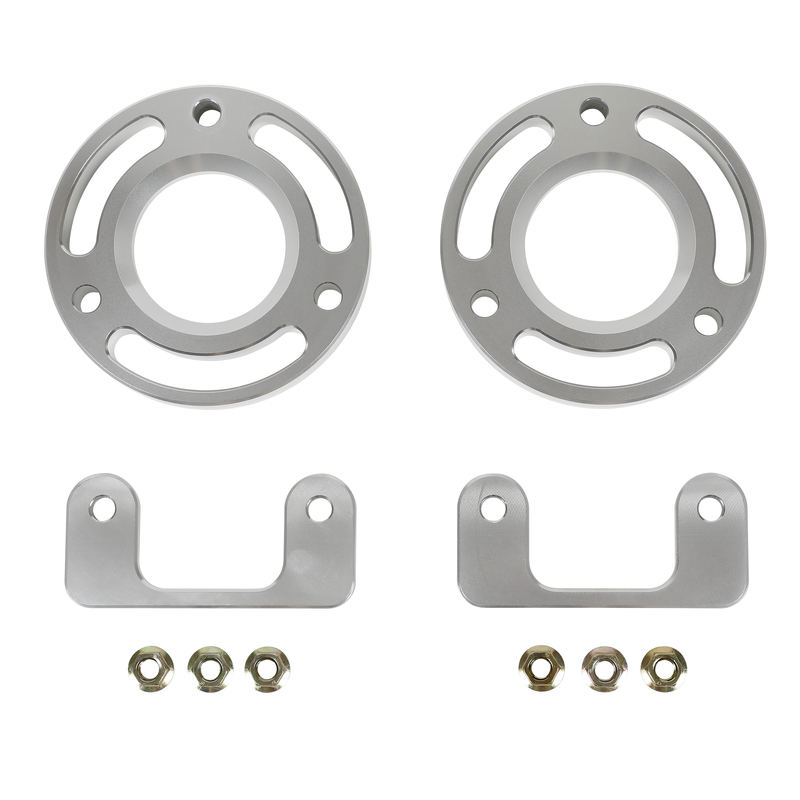 The universal design fits most make and parts washers, including Black Bull Parts Washers. 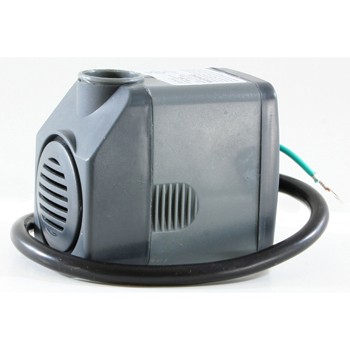 Replacement pumps can only be used when submersed. 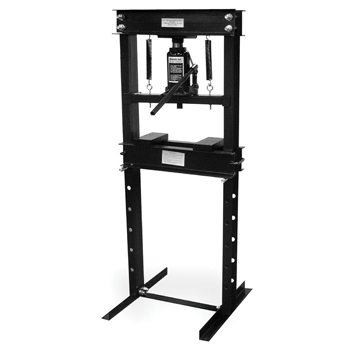 Use the Black Bull 20 Ton A-Frame Shop Press for installing and removing gears, U-joints, bushings, ball joints, pulleys arbor and press-out jobs. 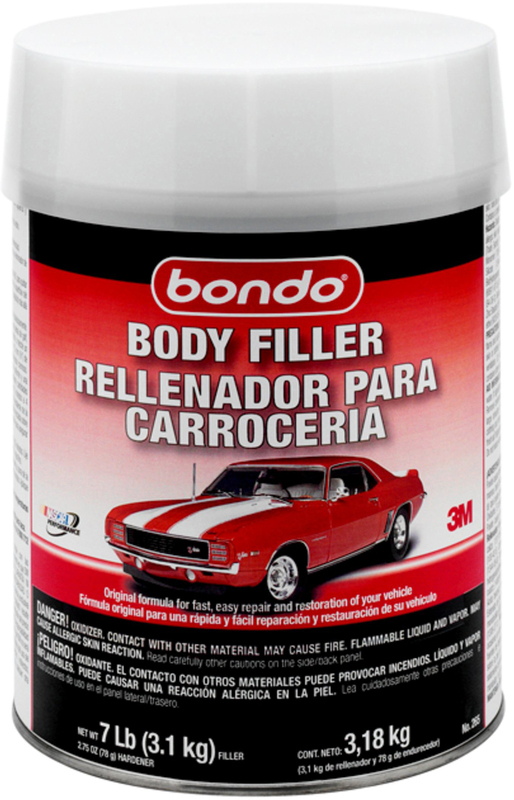 Used by automotive shops and hobbyists to repair and replace bearings, install and remove pressure-fitted parts, and bend or straighten metal. The Black Bull 20 Ton A-Frame Shop Press features all welded steel construction with a powder coated paint finish. The 20 ton hydraulic jack has an operating distance of 3 in. to 16.5 in. Operating distance 3 in. to 16.5 in. 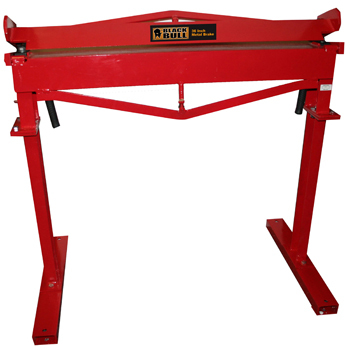 Bend a one of a kind part or make duplicate parts in your shop with the Black Bull 36 Inch Metal Brake With Stand. 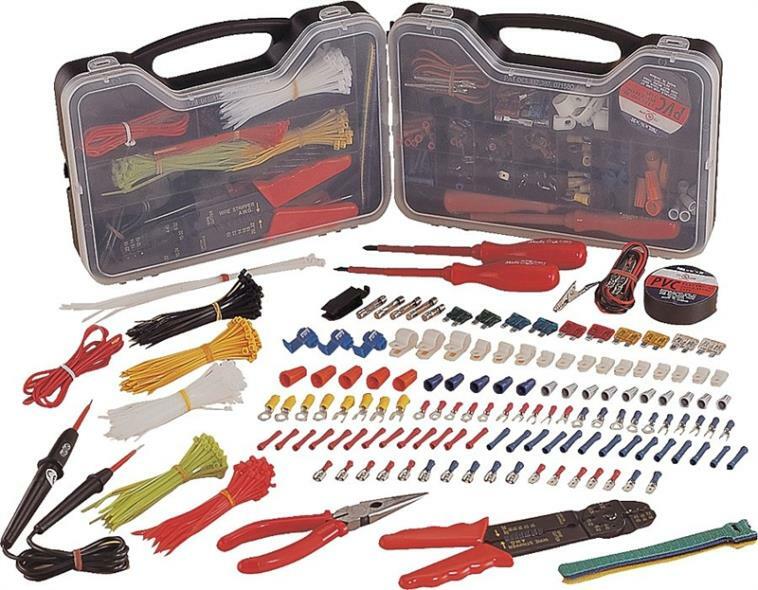 A must have tool for metalworking in the home workshop, farm or professional fabrications shop. It features a bending angle range of 0 to 120 degrees. Use the detachable floor stand or bolt to a workbench. The Metal Brake can bend mild steel as thick as 12 gauge or stainless steel as thick as 16 gauge up to 36 inches wide. 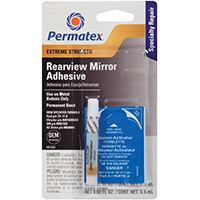 Perfect for metal artists, sign makers or fence builders. 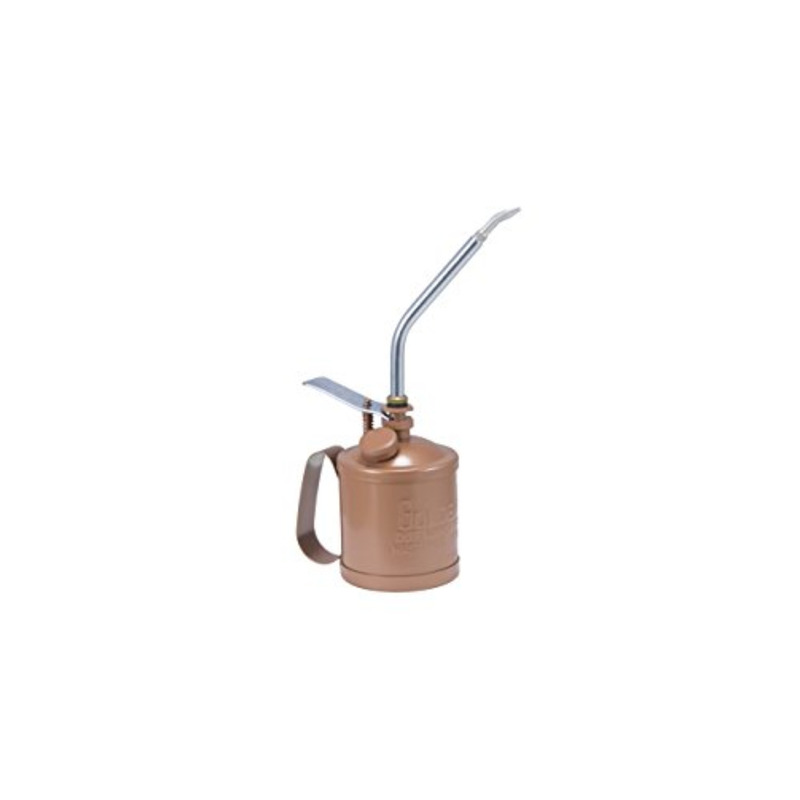 OILERS Body double seamed to the spring steel bottom Filler opening roll threaded For leakproof body-spout connection 7" flexible tubing spout Copper bronze finish 506 GR 6OZ 7 IN. 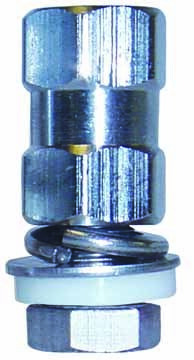 FLEX SPOUT OILER CAPACITY:6 Oz. Whether you are a do it yourselfer working out of your garage, operate an auto repair business, or taking care of equipment and engine repairs at the ranch or farm, your going to need a parts washer to remove the grease and grime from the engine components. You're going to need a Black Bull 40 Gallon Parts Washer. 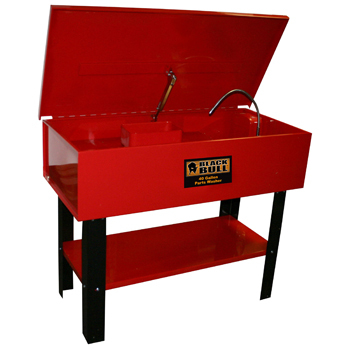 This 40 gallon parts washer with a 12 gallon solvent capacity can clean parts quickly. 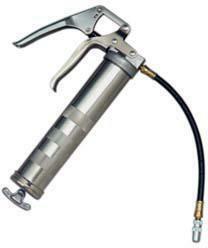 The pump can output up to 318 gallons per hour, and recirculates up to 3.2 gallons of solvent per hour. Safe and convenient to use, this parts washer features a fusible-link arm with steel lid, and an indicator light to show when the unit is on. Use the Black Bull 20 Ton Shop Press for installing and removing gears, U-joints, bushings, ball joints, pulleys arbor and press-out jobs. 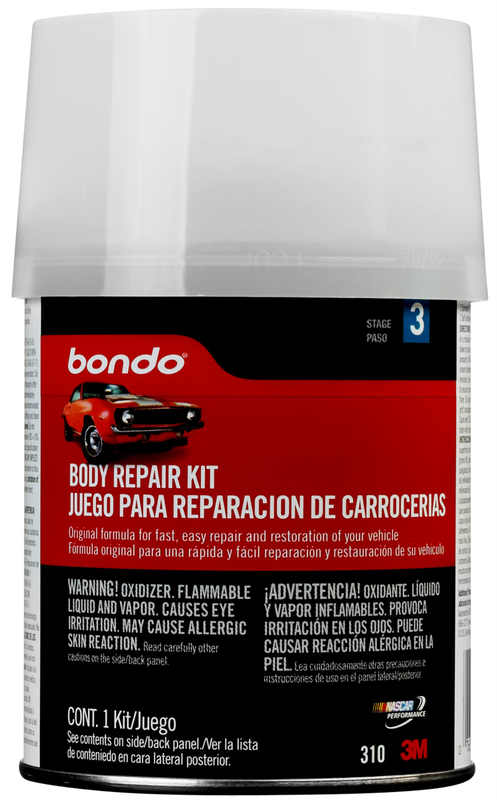 Used by automotive shops and hobbyists to repair and replace bearings, install and remove pressure-fitted parts, and bend or straighten metal. The Black Bull 20 Ton Shop Press features all welded steel construction with a powder coated paint finish. The 20 ton hydraulic jack has an operating distance of 1.75 in. to 28 in. Operating distance 1.75 in. to 28 in.